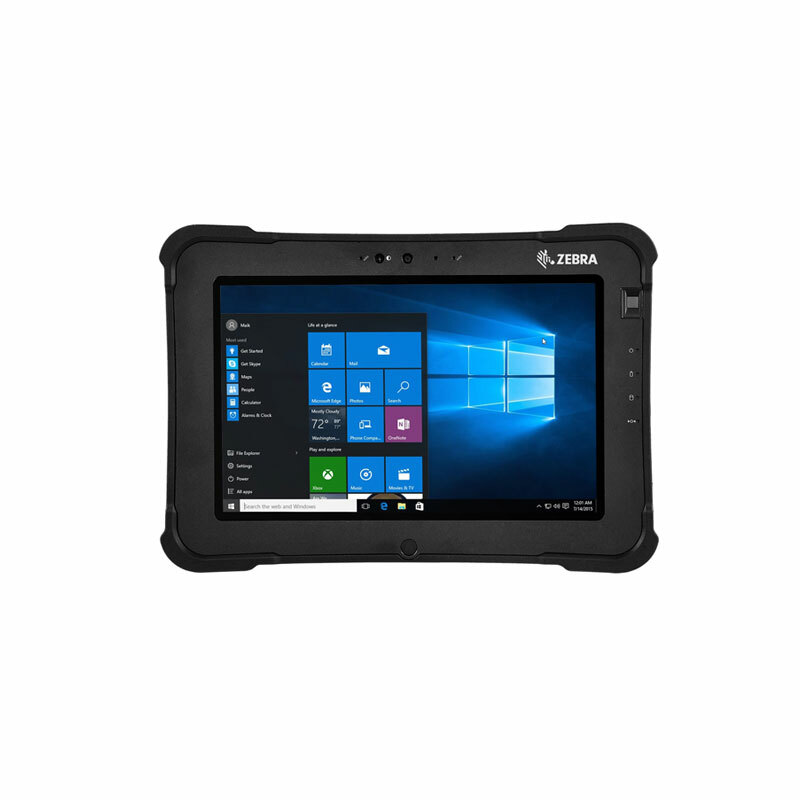 Ultra-rugged and ultra-versatile – the Xplore L10 platform by Zebra provides most dependable performance and highly customizable features to ensure unfailing productivity even in the roughest environments. It consists of three form factors which share the same accessory range. 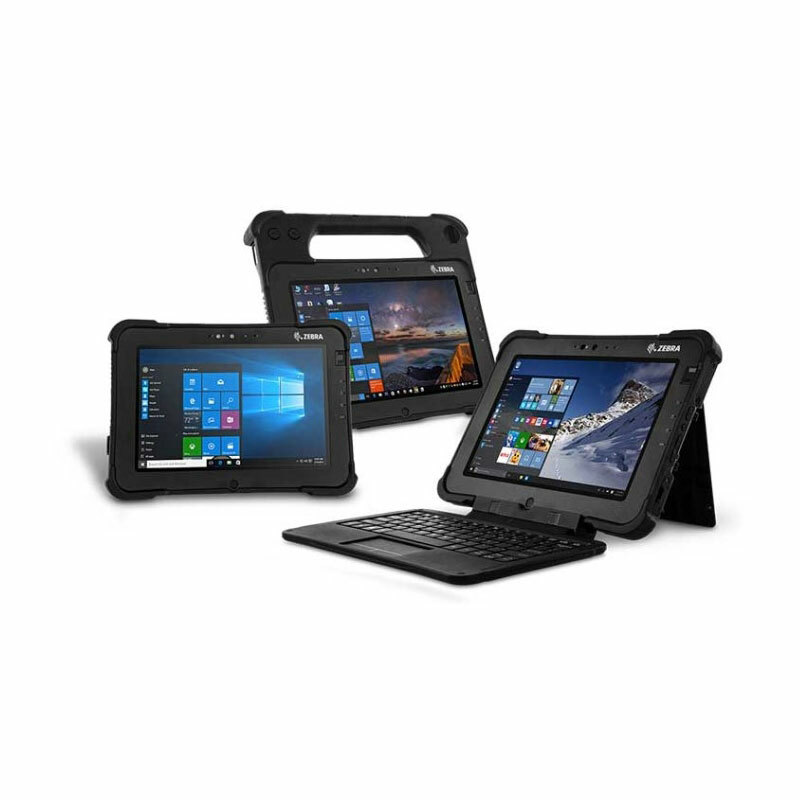 The XSLATE is a smart and rugged tablet computer, the XPAD comes with an integrated hard handle and the XBOOK, with its removable keyboard, is a tablet/laptop hybrid solution. 8th generation Intel Core technology and up to 1 TB removable SSD storage equip mobile workers with most advanced computing power. A variety of modular and integrated options allow optimal customization and exceptional flexibility. For optimal usability of the Xplore L10 mobile computers by Zebra, the devices can be equipped with the appropriate processing unit as well as with main memory and storage capacity according to needs. The Intel Core CPU tablets come with an Intel “UHD Graphics 620” graphics board, the Intel Pentium version with the Intel “UHD Graphics 505”. Based on the Windows 10 Pro 64-bit platform, the Xplore L10 pads are ready for a large scope of different applications. Convenient operation of the Xplore L10 tablets by Zebra is ensured with a 10.1-inch 2K display. The tablets are available with either 500 or 1000 Nits (“ViewAnywhere”) brightness. The mobile computers support finger operation with capacitive touch functionality or, alternatively, a version with a Wacom active digitizer is available as well. Scratch-resistant Corning Gorilla Glass 3 protects the screen. The Xplore L10 computers also provide auto-sensing glove and wet mode. Industrial and other harsh environments require absolute robustness of technical devices. This is why the Xplore L10 tablet computers are tested to comply with MIL-STD-810G standards to withstand drops (6 ft to plywood over concrete/4 ft to concrete), shocks and vibrations. A solid, yet lightweight, magnesium-alloy frame and rubber bumpers at the edges protect the tough tablets and make sure they work reliably even under most difficult circumstances. The devices are sealed against dust and water in accordance with protection class IP65 and an operating temperature range from -20 °C to +60 °C ensures versatile use indoors and outdoors. The Xplore L10 series mobile computers were also designed for application in explosion hazardous areas complying with C1D2 standards (certification pending). The Xplore L10 computer series by Zebra also provides various standard ports: USB 3.0, USB-C, RJ-45 Ethernet, dual Nano SIM, Micro SDXC as well as docking and audio ports. Additionally, it is possible to choose further integrated port options: RS-232 serial or HDMI-In. If required, the XPAD can be equipped with a 1D/2D barcode scanner and all versions are available with CAC/Smart card reader or UHF RFID reader (AEI) as integrated options. For documentation purposes, the 13-megapixel rear camera is another useful feature. Extended working hours or tasks, where devices are seamlessly handed over to the next shift, require optimal energy management and a strong battery. 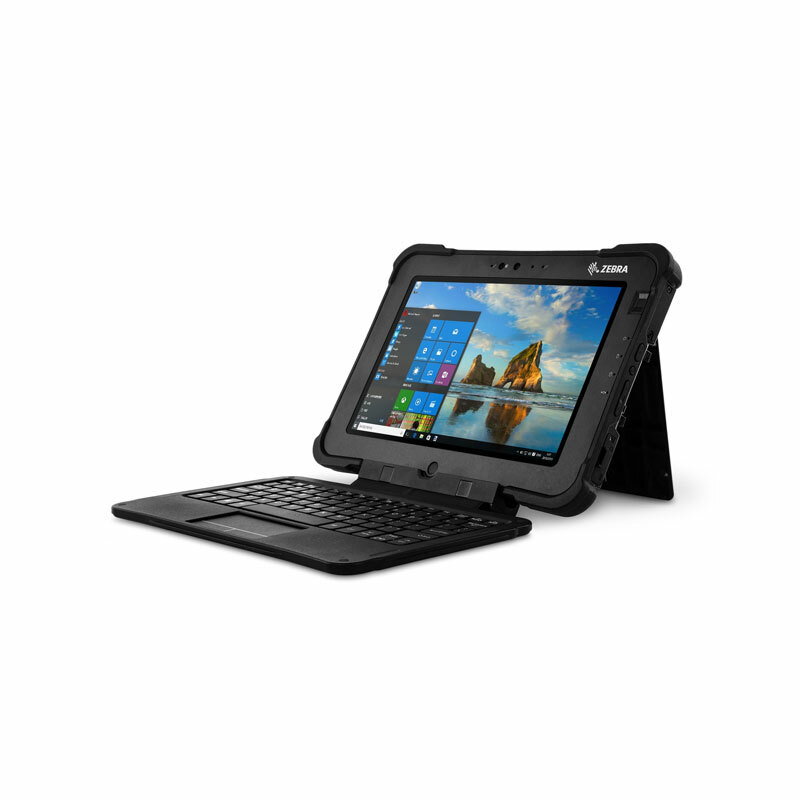 The tablets of the Xplore L10 platform by Zebra are equipped with a long-lasting standard battery for up to 10 hours and are hot-swap enabled. The optional extended battery lasts for up to 27 hours. To ensure optimal security, the mobile computers of the Xplore L10 series come with an integrated fingerprint reader and TPM 2.0. Kensington Locks are available as option. The removable SSD modules also contribute to high data safety.